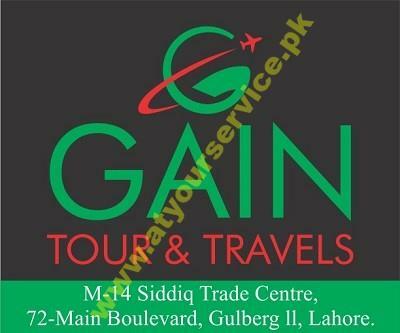 Gain Tour & Travels is located in Siddiq Trade Centre, Main Boulevard, Gulberg II, Lahore. Gain Tour and Travels provides best quality travel services to its clients. We specialize in Hajj Umrah, International and Domestic air tickets, booking, reviews and advises on hotels, resorts, flights, vacation rentals, travel packages, and lots more.